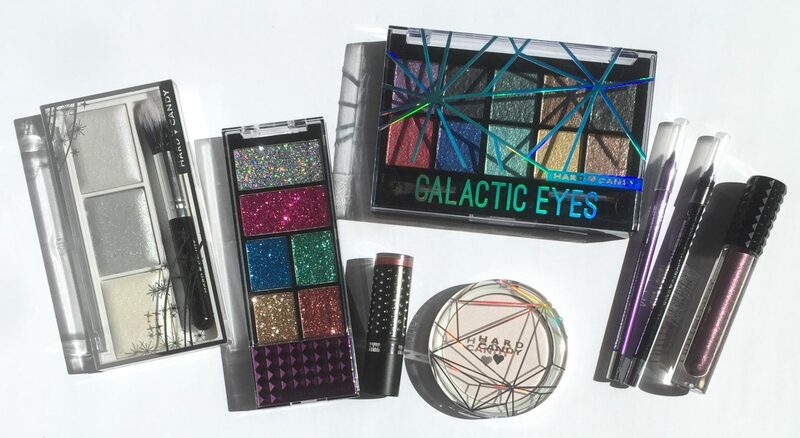 Hard Candy, a makeup brand exclusive to Walmart is always on top of the latest beauty trends. All while being incredible affordable. 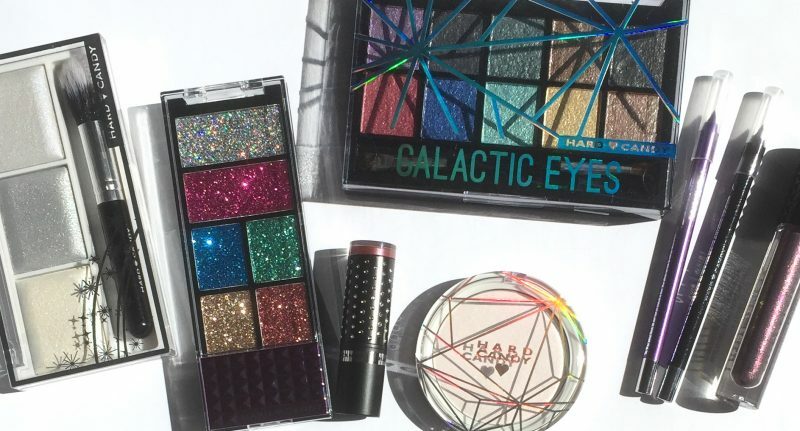 Their most recent collection Hard Candy Beauty in Retrograde, has fulfilled all of my glitter dreams. I’ll let my pictures do all of the talking. Hard Candy Glitteratzi Compact Eye Shadow in Center of Attention, had me speechless. 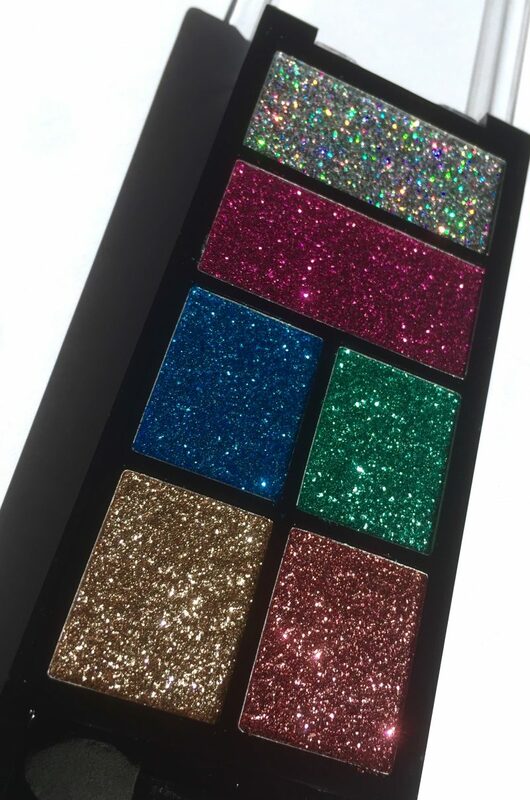 At first glance I thought, like most glitter palettes, I would get medium colour pay off and with a ton of fall out. WRONG! 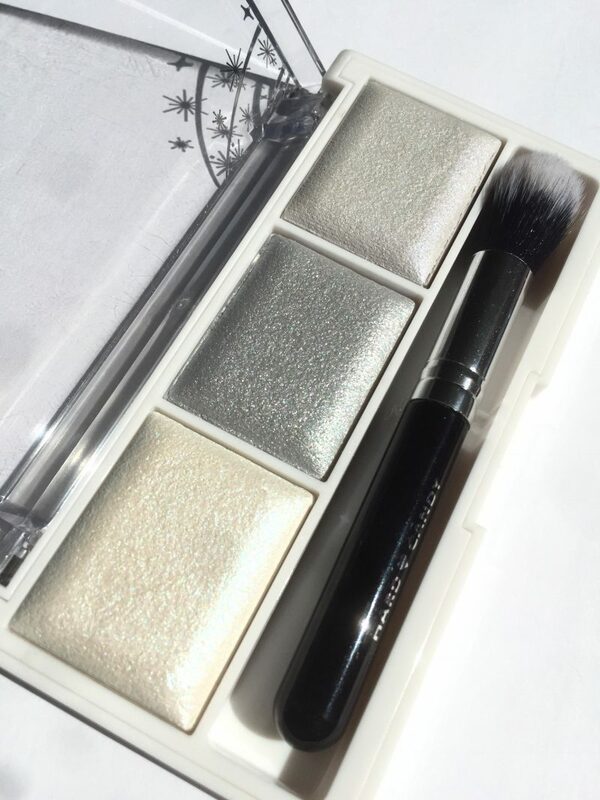 The shadows are a creamy/gel consistency that cling to your finger or brush with one swipe. These shadows are intense! 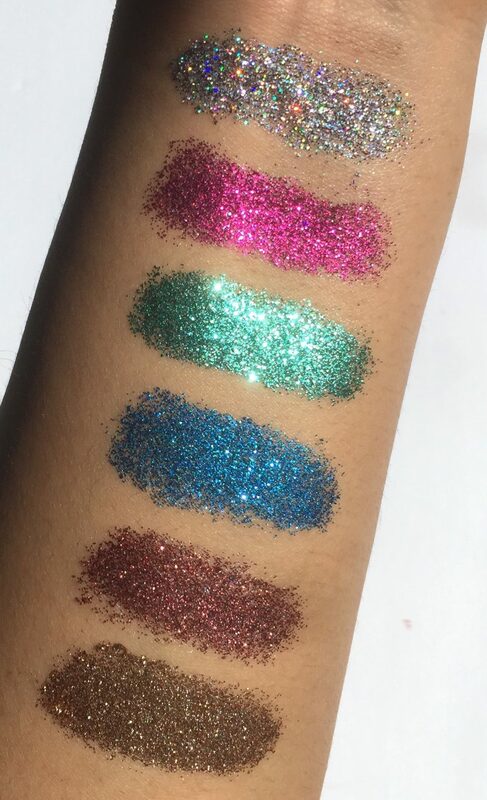 Here are some swatches with one swipe each: The Gatalic Eyes Eyeshadow Palette consists of 10 fun, galaxy inspired shades. The consistency is silky and highly pigmented, with a foil-like finish. For maximum colour payoff, I recommend picking up the shadows with a wet brush (sprayed with setting spray). This helps more of the colour to adhere to the lids, with minimal layering. 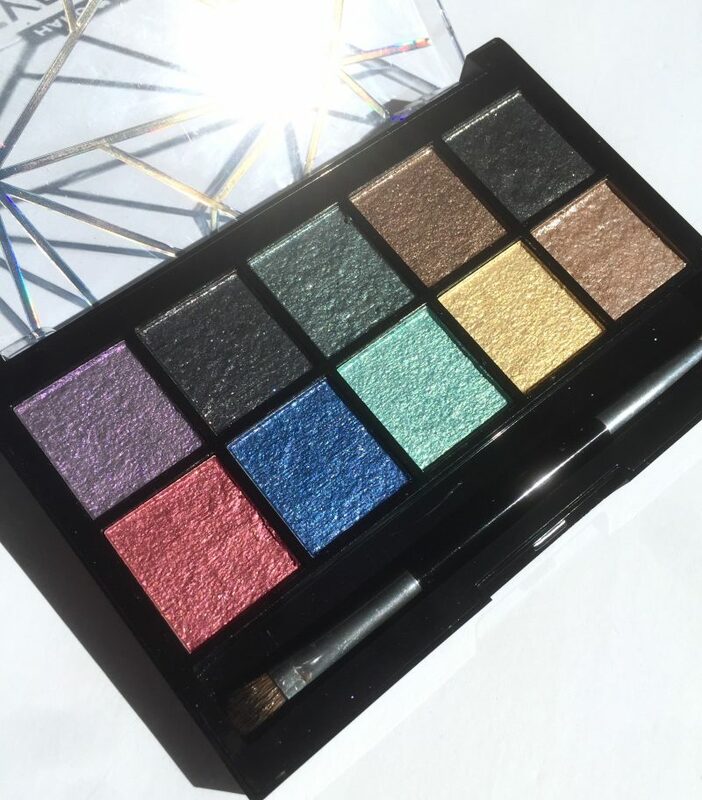 Sheer Envy Prismatic Highlighter is an iridescent powder with light-reflective pearls that are flattering on all skin tones. Although it appears stark white from afar, it is far from chalky. 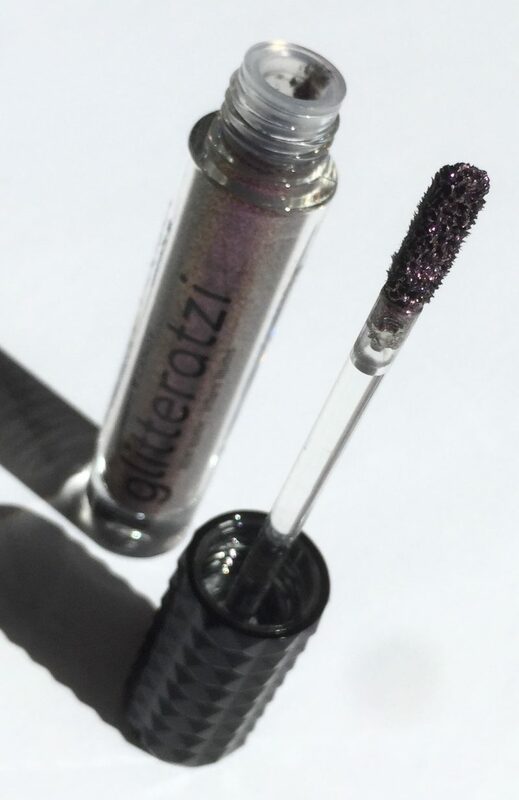 Glitteratzi Liquid Sparkler Top Coat is intended for both the lips and eyes. One application provides a sheer layer of sparkle and two, creates high-impact glitter. Hard Candy Just Glow! 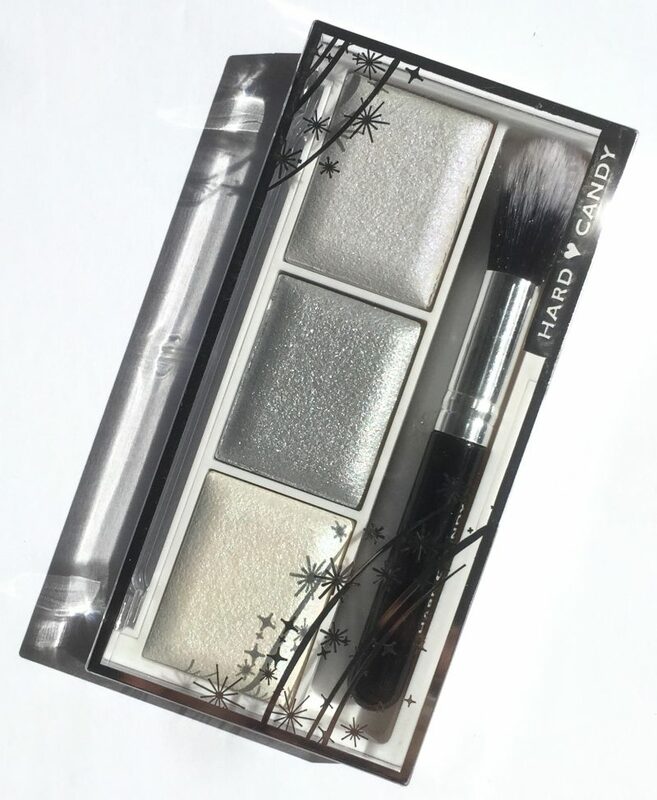 Baked Highlighting Trio in the shade a Touch of Moonlight, includes an iridescent ivory, soft grey and silver shade. 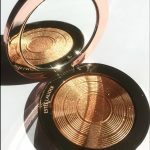 Use the shades individually or swirl together for immense amounts of sheen. 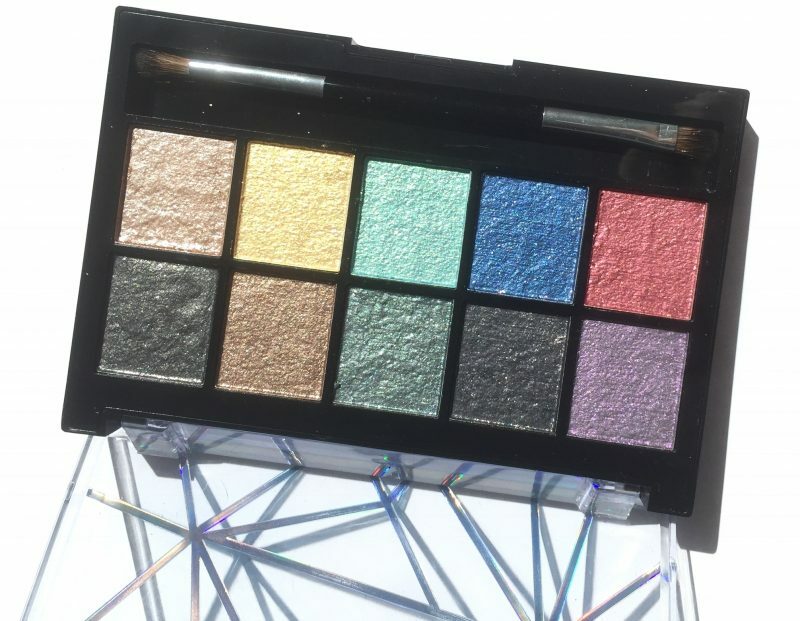 This palette doubles as eyeshadow and honestly I prefer to use them on the eyes! Switch out your brown and black liner for Stroke of Gorgeous Eyeliner in these fun purple and other iridescent shades. These liners effortlessly glide over the lids, with absolutely no tugging. Leaving only a bold, consistent line behind. Fierce Effects Lipstick is a stunning lippie housed in this star studded bullet. It’s intensely pigmented with a buttery smooth texture. 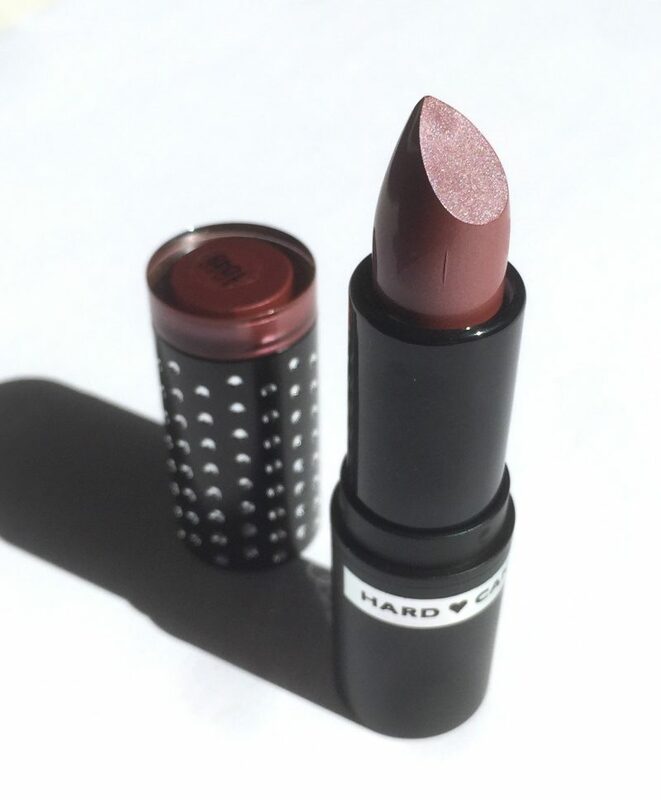 Infused with Argan oil, the lipstick glides over the lips providing a ton of moisture. I tried out the shade Galatica. I have had absolutely the most fun with the Hard Candy Beauty in Retrograde collection. Each piece is available exclusively online or in-store at walmart.ca.